A Pharmacist position calls for people that display this trait like most people. The ideal candidate prefers to work in a group setting in which they have the opportunity to interact with others, but is able to work alone with limited contact for short periods of time. This position calls for people that display this trait more prominently than most people. The ideal candidate tends to get along with people easily. Pharmacist positions call for people that display this trait differently than most people. The ideal candidate usually develops a thorough plan before beginning a task. This position calls for people that display this trait more prominently than most people. The ideal Pharmacist candidate is usually objective in their decision making and actions, even in trying circumstances. Pharmacist positions call for people that display this trait more prominently than most people. The ideal candidate usually embraces the opportunity to try new ways of doing things. Pharmacist positions call for people that display this trait differently than most people. The ideal candidate always follows through on their commitments to others to the extent they are in control of a situation. Compliance: The degree to which an individual is willing to follow policies, external controls and supervision, and to work within the rules. This position calls for people that display this trait more prominently than most people. The ideal Pharmacist candidate is comfortable interacting and taking direction from those in authority. Acumen: Tendency to use logic and objective information in decision-making process. 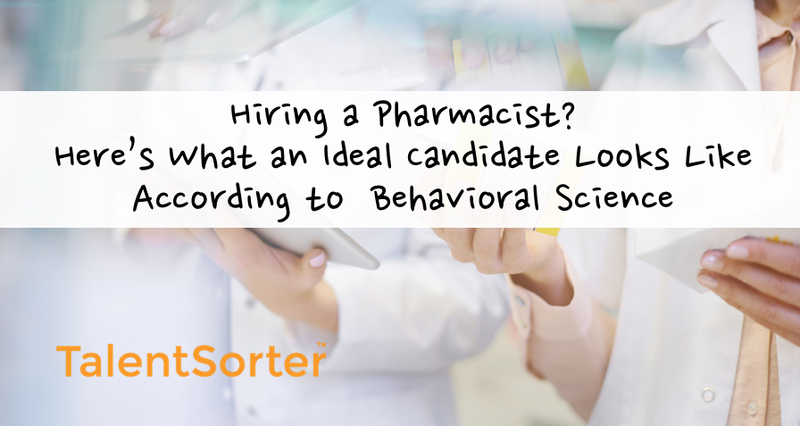 Pharmacist positions call for people that display this trait differently than most people. The ideal candidate prefers to base their decisions on factual information rather than intuition. Autonomy: Tendency to be self-reliant, self-directed, and to take independent action, making own decisions. This position calls for people that display this trait more prominently than most people. The ideal candidate is capable of relying on their own resources to make decisions and get tasks done.